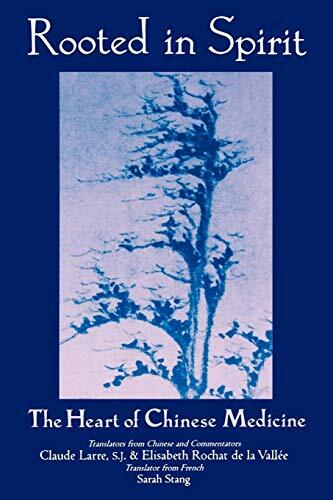 This book is both a translation and interpretation of Chapter 8 of the Huangdi Neijing Ling Shu, which described the ancient Chinese view of how the emotions influenced physical health. The heart was the center of a living being and the home of Spirit, and the peace and health of the heart could be compromised by human emotions. Larre's interpretation stresses the communication needed between patient and doctor to design a therapy geared specifically to each patient's authentic nature. Rooted in Spirit explains the influence of the emotions on health according to ancient Chinese thought, examining the interrelationship of emotion and spirit and showing how our health and well-being depend upon the harmonious dwelling of the "spirits" (shen) in the heart. At the deepest level the practice of Chinese medicine involves the proper communication between practitioner and shen. Rooted in Spirit is a translation of Chapter Eight of the Lingshu portion of the Huangdi Neijing or The Yellow Emperor's Classic of Internal Medicine, the Chinese text on which all the Chinese healing arts are founded. Despite the great importance of this text in providing the spiritual and metaphysical context of Oriental medicine, it has been excluded from translations of the medical classics which reflect a materialistic bias. Chapter Eight is presented here together with a commentary by contemporary French sinologists, Elisabeth Rochat de la Vallee and Claude Larre, S.J.